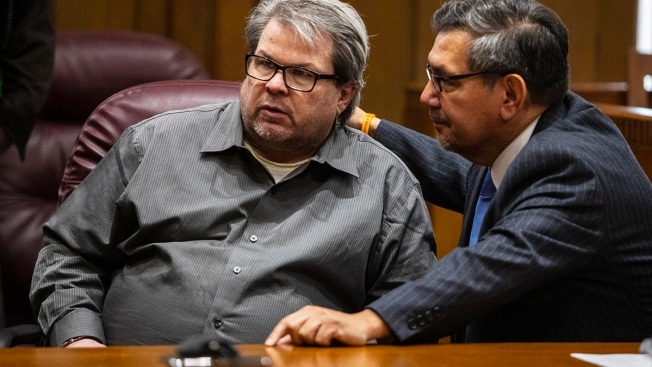 Jason Dalton talks with his defense attorney Eusebio Solis moments before pleading guilty to six counts of murder and several other charges at the Kalamazoo County Courthouse on Jan. 7, 2019, in Kalamazoo, Mich. Dalton was sentenced Tuesday to life in prison with no chance for parole. 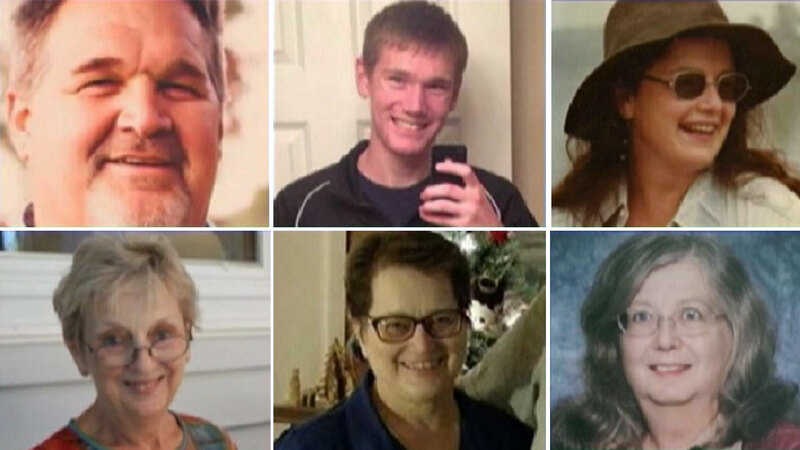 A man who fatally shot six strangers in southwestern Michigan was sentenced Tuesday to life in prison with no chance of parole, and some loved ones of those he killed said they believe he'll face a greater, more permanent punishment. (Clockwise from top left): Richard Smith, Tyler Smith, Mary Jo Nye, Mary Lou Nye, Dorothy Brown and Barbara Hawthorne. Police say a gunman randomly targeted victims at three separate locations. ***ADVISORY: This video may be disturbing to some viewers. 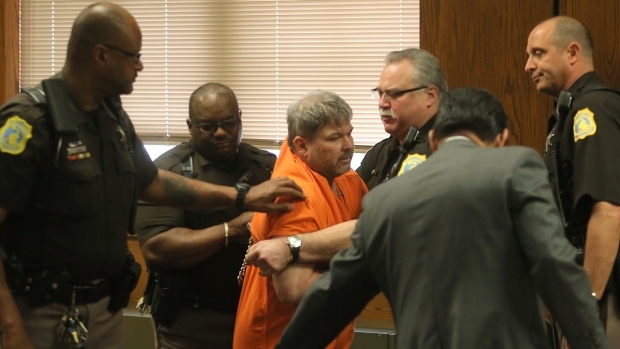 *** Jason Dalton was removed from a Michigan courtroom on May 20 after disrupting the first witness in a pre-trail hearing. 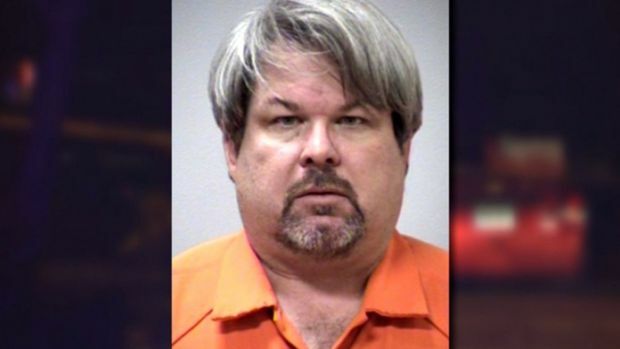 Dalton is accused in three separate shootings in the Kalamazoo-area in February, which authorities said he carried out between picking up riders as an Uber driver. He's been found mentally competent to understand the charges and assist his lawyer.